Micromax has sent out media invites for an event in India which will be held on April 30, 2015 for an upcoming event where the company is going to enter a new segment of the market. The invite gives a teaser of the same and it is suspected that the segment into which it is going to enter will be the Laptop segment. 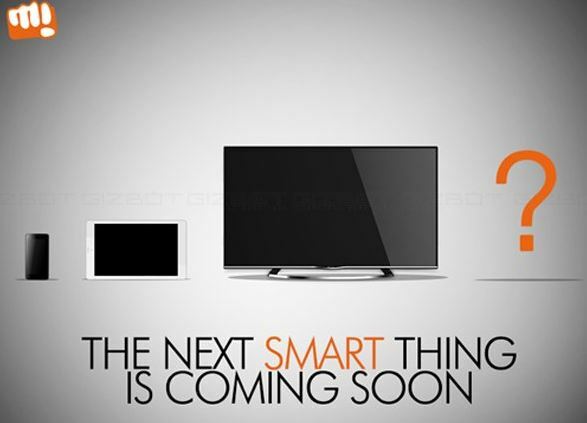 The Micromax invites reads as “the next smart thing” is coming on April 30, and the image shown above gives another clue that the device is not going to be a smartphone, tablet or TV into which the company has launched its devices in but a whole new category of devices. There was a leak sometime back about Micromax coming out with a Hybrid device with an Intel chipset in it and this could be the device which was meant. The other updates about this event is that the new hybrid computer by Micromax will be running on Micromax 8.1 with the help of an Intel chipset and might be a device in the likes of the Micromax Surface series which can act like a Laptop or Tablet. This makes it possibly a convertible tablet device which must be the target of the company which comes out with cheap and affordable smartphones and tablet devices with good features and has recently even launched a 49 inch 4K resolution LED TV in India which run on Android OS, which was well received for its pricing but after users faced some problems with the OS and when the Micromax technicians could not fix those errors the complaints list got big. Hope this time Micromax comes out with devices which are equally well priced and the technicians are given prior training in dealing with problems. The launch event is going to be on April 30th in New Delhi and more updates like the features, pricing and other details will be posted here.